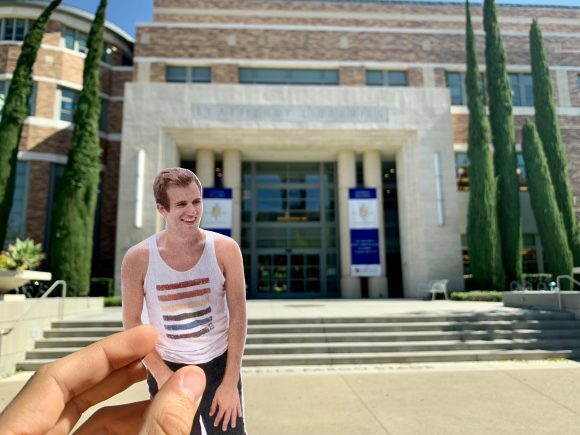 A paper cut out of me in front of the main entrance to the Leatherby Libraries! Before I started working at the Leatherby Libraries as a student assistant, my concept of libraries was quite simple. 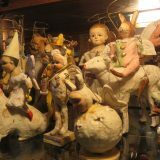 I looked at libraries as institutes that circulate books, articles, journals, and any other form of educational documents. That was it. That’s all that I thought libraries did. I was exponentially mistaken. 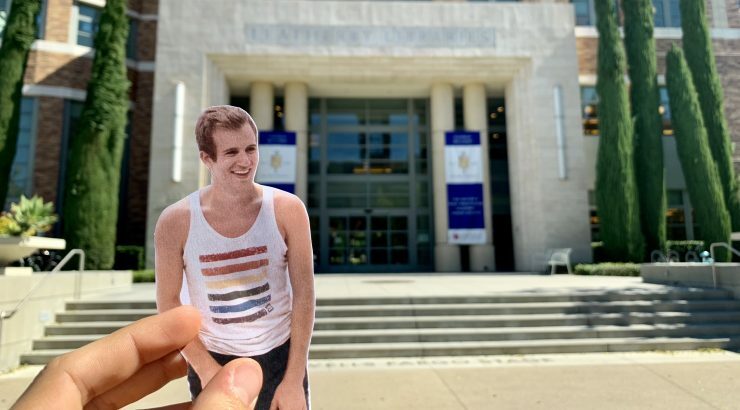 While at its core, the library does circulate academic materials, that is not the only thing a library does, especially not the Leatherby Libraries. 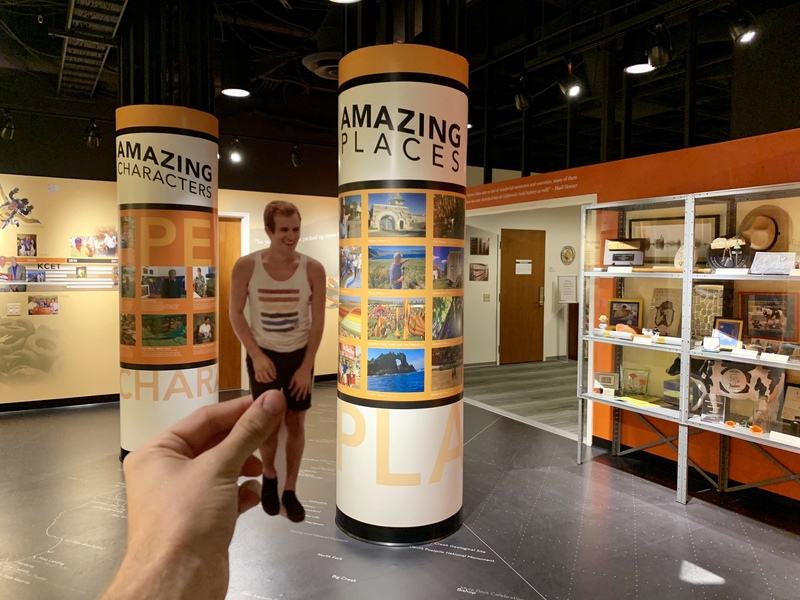 The California’s Gold and the Huell Howser Exhibit located in the lower level of the libraries. students to gain knowledge from. They have journals for students to review. 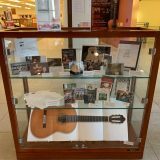 The library’s collection of Holocaust artifacts are in the library for students to learn from. Everything the library does is curated to give the students more knowledge. Don’t want to wait in line at Starbucks? The library has their own cafe right on the first floor! In the definition, a library is a collection of objects and I always assumed libraries were just collections of books and nothing more. Now, I believe that libraries, especially the Leatherby Libraries, are collections of experiences which help foster knowledge. Leatherby Libraries puts the students’ academic interests above all else and gears its practices towards what is best for the students. I have a newfound appreciation for this library after seeing how much the people behind the scenes as well as library administration care about the well being of the students. Each member is constantly trying to improve the efficiency and accessibility of the library and its services. 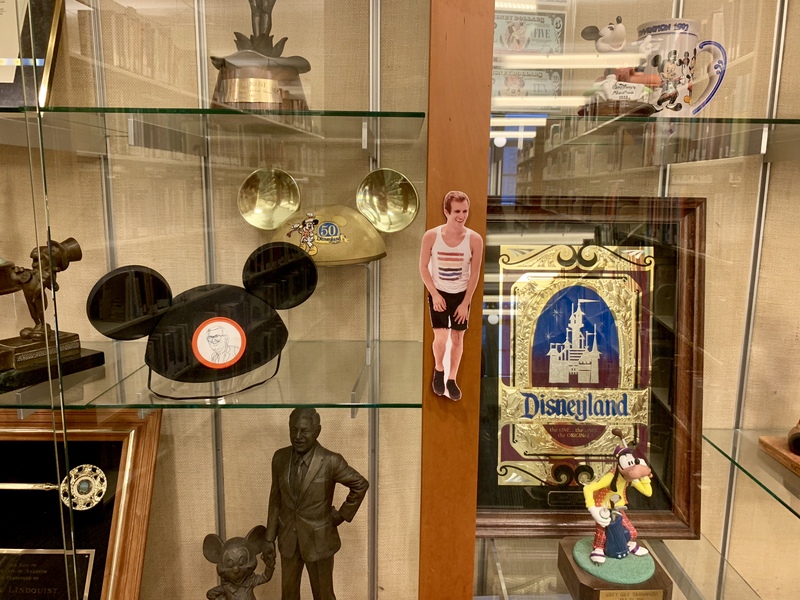 Jack Lindquist, the former president of Disneyland donated all of his Disney memorabilia to the library. Can’t find anywhere to sit? There’s a lot of hidden seats throughout the library. 790 seats the be exact. There are so many aspects to the Leatherby Libraries that students have the opportunity to use. The one that amazes me the most is the special collections division. This area of the library elevates Leatherby Libraries in a way that distinguishes it from other university libraries. How many people can say that their university’s library houses an archive of thousands of war letters? You need a book? We have it! And if we don’t you can request it from Inter Library Loans on the first floor or on line. 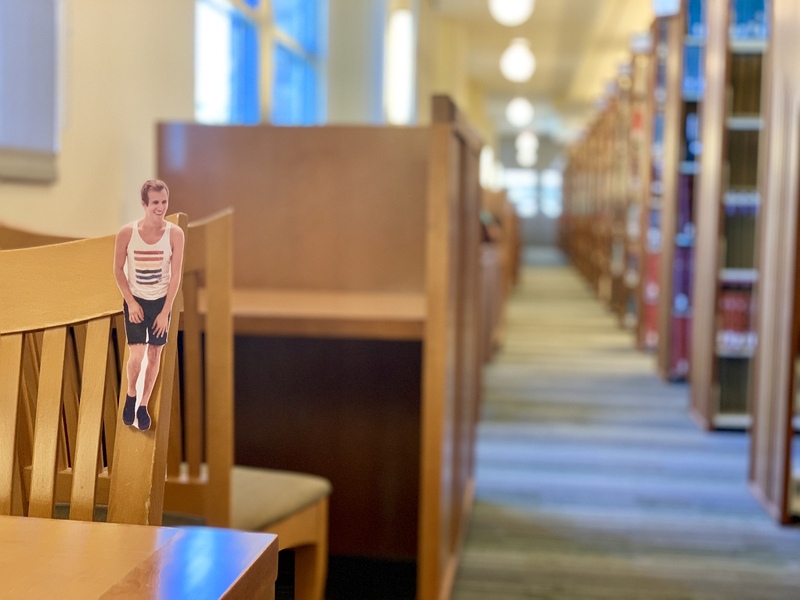 Leatherby Libraries is perfectly located in the middle of campus because it is such an integral part to the advancement of student learning. 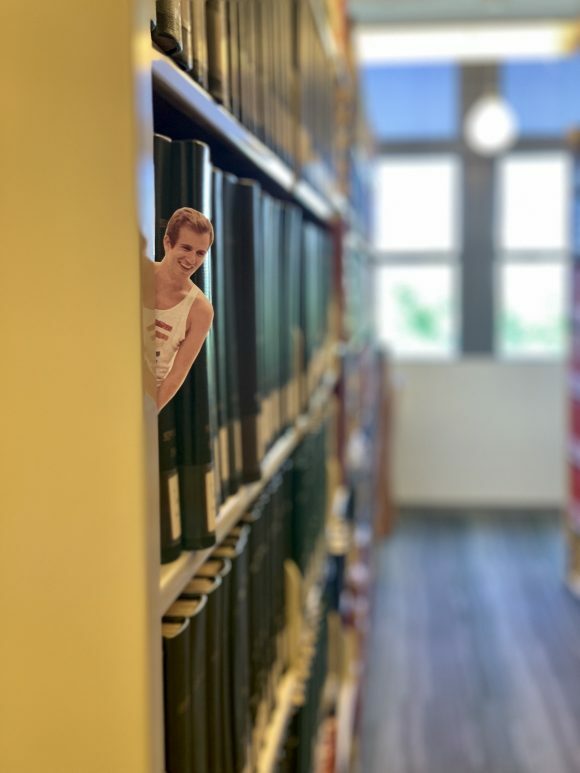 Whether a student uses the library only as a place to study or check out course reserve books (which I use instead of buying most of my textbooks), the library is a fundamental part in the academic lives of the students. 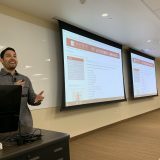 Now that I’ve been working at the Leatherby Libraries for a month, I have been able to see, firsthand, the impact the library has on the educational experience of Chapman University students. Find a quiet place to study on any of the floors. It’s a good place to get focused and get that homework DONE!